COMPARE & EVALUATE civil rights’ leaders perspectives of nonviolence and evaluate how the authors’ EVIDENCE communicates and supports their ideas to diverse audiences. 1. What were the ideas of the Civil Rights’ leaders? 2. What is nonviolence? 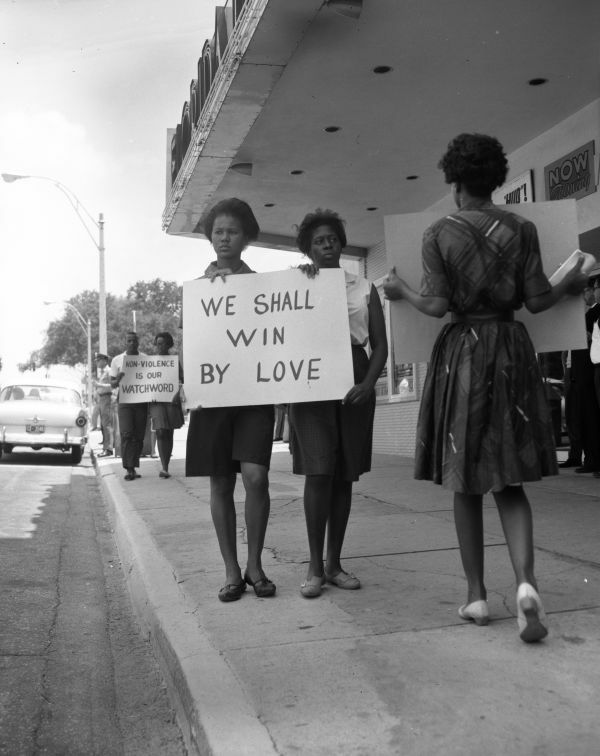 How did this philosophy shape the dialogue during the Civil Rights Movement? 3. How do these leaders’ ideas transform American values? 4. How did the values expressed by Civil Rights Leaders in U.S. history inspire and shape artistic, cultural, and political movements? Conflict, Civil Rights, violence/ nonviolence, pacifism, passive resistance, audience, purpose, argument, rhetorical triangle (ethos, pathos, logos) kairos, call to action, agape.